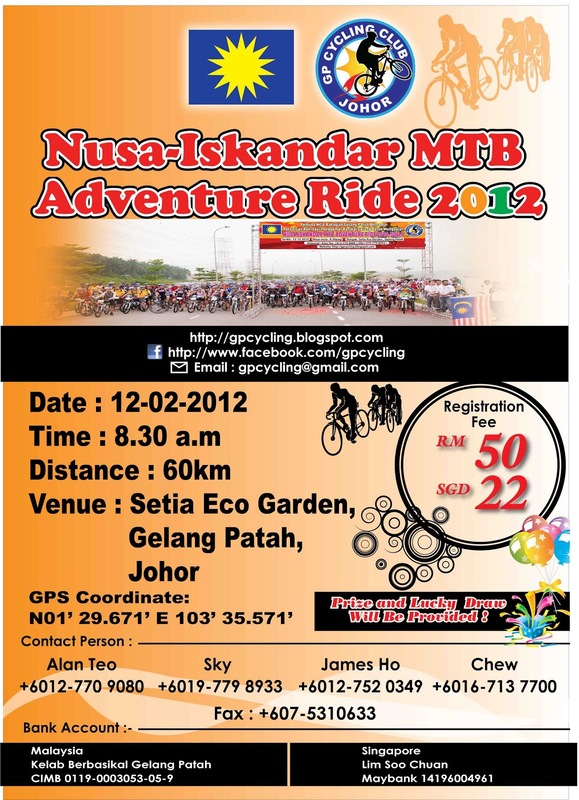 I had a great day with my Singapore Five-0 mates at the 60 km Nusa Iskandar MTB Adventure Ride 2012 in Gelang Patah, Johor. There were well over a thousand participants with a significant contingent from Singapore. The previous year's event was well organised and this year was even better. 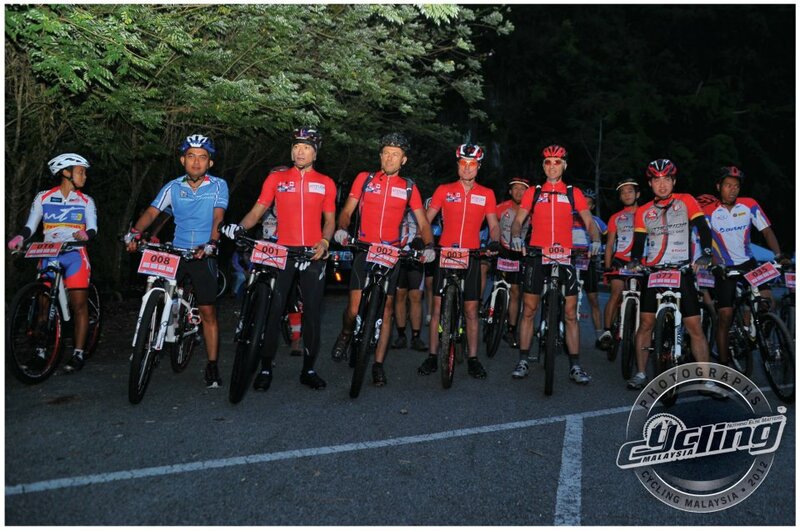 The support at the water stops was like clock work and the trail all rideable. The Super Downhill at the beginning was brilliant and lots of fun. My Stumpy 29er hardtail was almost perfect, except for the rough and fast hard-packed plantation fire roads which was harsh without rear suspension. I got lost twice but found my way back into the groove quickly. 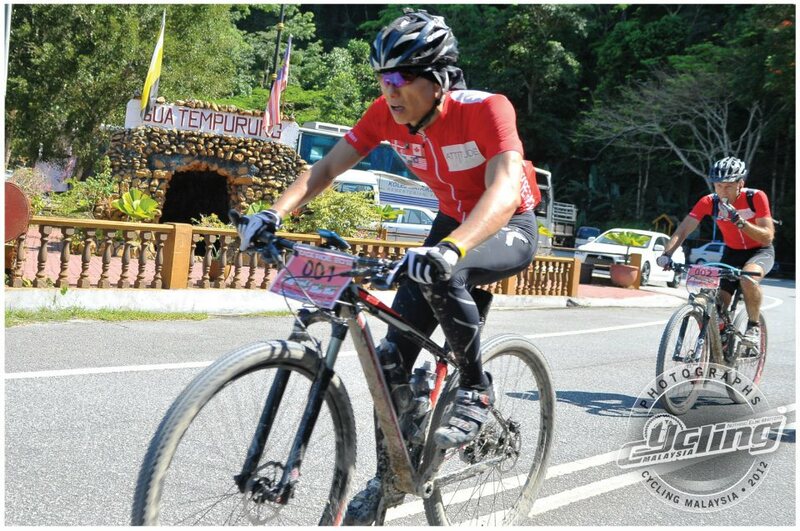 The combination of Hammer Endurolytes, Gels, Perpetuem Solids, a couple of bananas and a bottle of water consumed religiously every hour ensured that I was properly nourished and hydrated, no cramps despite the oppressive heat. I arrived at the finish line at 12 noon in 24th position and 3:31 hours, quite happy with my performance. A quick wash of the bike, a pleasant drive home to Singapore and I ended at the massage table for a well-earned 90 minute rub down. Bliss! 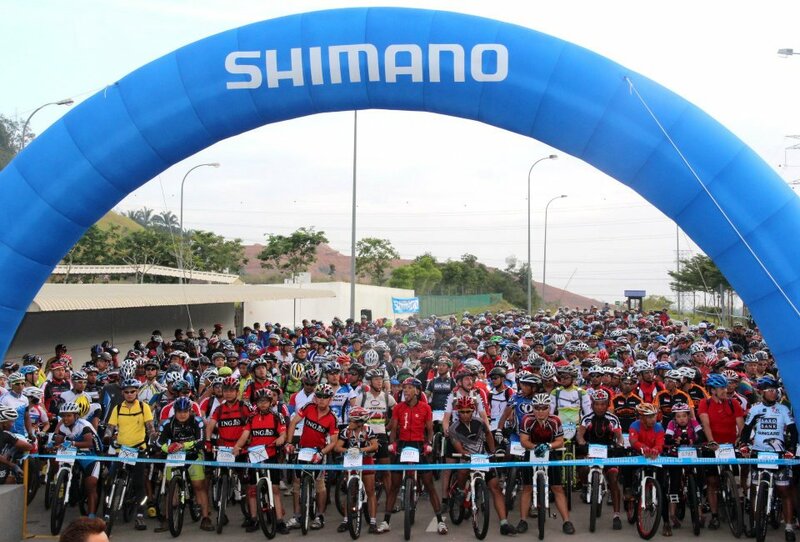 The MTB race commenced at 7.30 am with 75 racers. The course was 30 km with 2 big climbs - a 1,200 m hill sending us 80 m up followed by a fast downhill and a sharp 500 m climb sending us 60 m up. The route had many interesting elements such as a quick sprint through the Gopeng market, zig-zagging between limestone caves and cutting through little villages with friendly locals. This race was both a physical and a mental challenge. 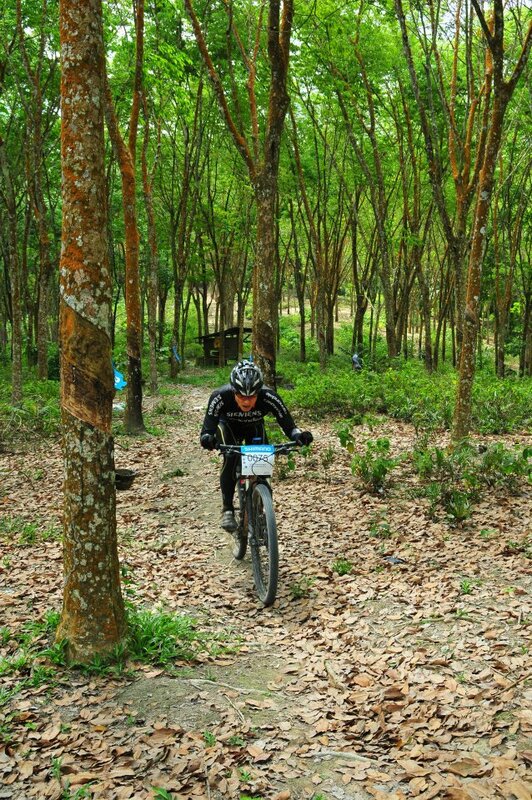 I completed 8 laps with a total of 235 km and 2,100 m climb and finished 7th place. Lars completed 7 laps after the first lap sprint killed him. Morten completed 6 laps and suffered because of his 1x10 configuration. Mike had to retire after the 5th lap because of a knee injury sustained in a crash. 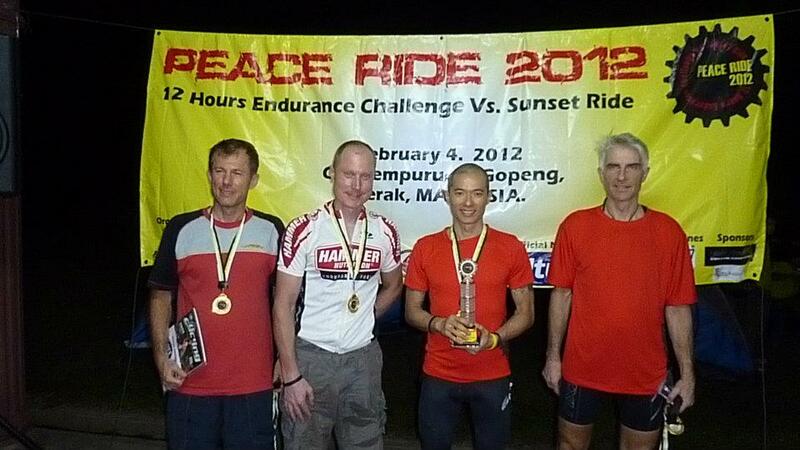 All in all and fantastic outing with superb technical support from Han from Attitude Bikes.